Travel in the comfort of your own home! From his living room in Groningen, songwriter and guitar player Ruud Slingerland grabs us by the ear and takes us on a trip through the southern states of the USA and Mexico. 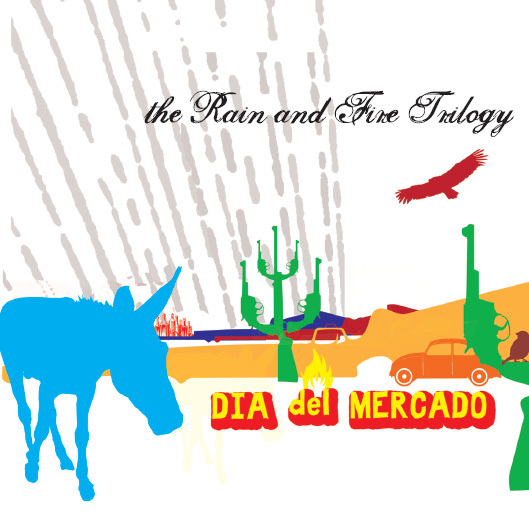 Dia del Mercado’s Rain and Fire is the soundtrack to an intense roadmovie that hasn’t been made. Yet. These 4 tracks are taken from the album ‘Seven Years of Dirt’, available on cd-baby and bandcamp. Click on the button on the right side of the player to download these songs. Sleeve made by Ruud Slingerland, original sleeve design by Henk Gruppen. This entry was posted on April 19 2012 by ̸̬̬̦̦̖̤̾ͥTƯ͖͈̓͗̌̊ͫP̴̟͇̜̩̱̄͞ ̧͚̙͓͔̭̉̍ͭ͌̋͆̎ ̤̭̑ͧ̐F̵̢̧̹̥̹̪̲ͭƯ͖͈̓͗̌̊ͫ ̤̭̑ͧ̐Ċ͇̝̗ͤKƯ͖͈̓͗̌̊ͫP̴̟͇̜̩̱̄͞S ̆̽̆ͭ͂҉̼̝͍̜̫̜-. It was filed under Geen categorie .